The holiday season is a time to celebrate. It's the time of year that my family and friends drop by my house a lot. I always like to have a few quick fix dishes to make when the doorbell rings. 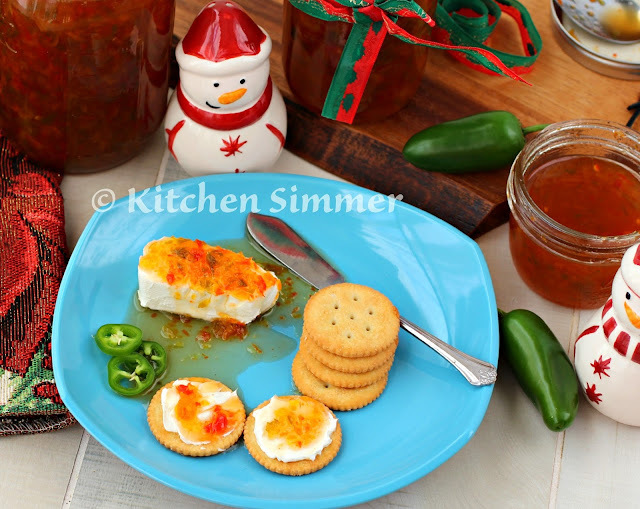 An easy appetizer to put out in a flash to feed a crowd is a brick of cream cheese topped with my Spicy Jalapeno Hot Pepper Jam and a bunch of crackers. 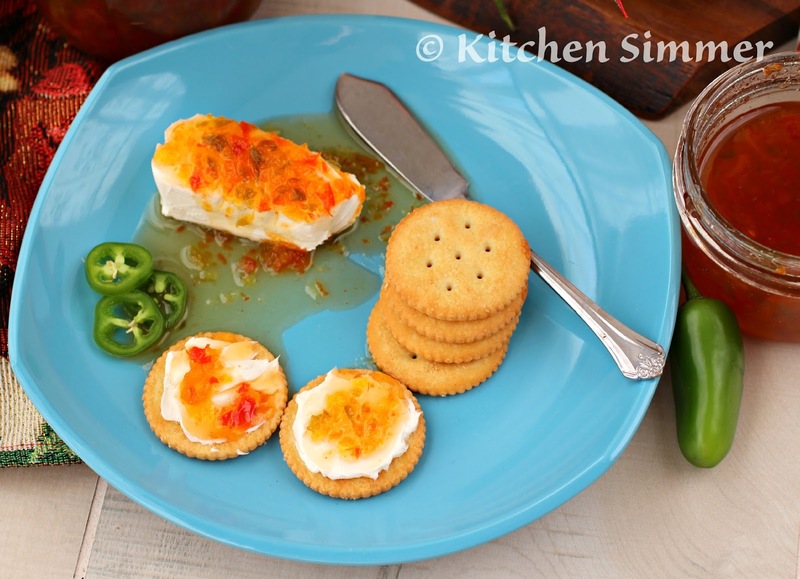 It's a perfect appetizer to enjoy with a cocktail or holiday punch. 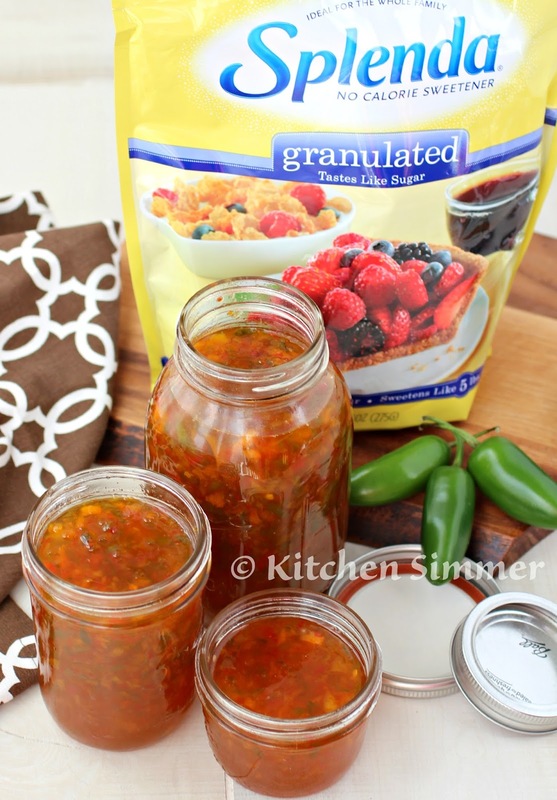 This jam is also very easy to spoon into a lot of different recipes as well. I love to add it as a glaze for little smokie sausages to put out with a some toothpicks or even as a glaze for meatloaf, grilled chicken or fish. The pepper jam can be made in advance and just sit in your fridge until you need to use it. It also works as a fantastic condiment for a burger, turkey or ham sandwich. I also like to take this as a hostess gift to parties so my host can put it out for the party or keep it in their fridge and enjoy it later with their meals. One of the main ingredients in pepper jelly/jams is sugar, a lot of sugar. I try very hard not to eat too much sugar and I am constantly swapping out sugar with SPLENDA®. My husband and I always use SPLENDA® packets in our coffee or tea. I also use it a lot when I make desserts. So, the idea of replacing the sugar with SPLENDA® in this jam was very easy to do. SPLENDA® No Calorie Sweetener enables people to experience the joy of sugar without all of the calories. As a brand dedicated to adding sweetness to life, SPLENDA® inspires consumers to make smarter, balanced decisions with SWEET SWAPS™. These choices can help consumers create a sweet life and ensure a sweet future down the road. SPLENDA® is a smart sweetening choice for a balanced lifestyle. SPLENDA® No Calorie Sweetener has the sweet taste of sugar, but fewer calories, so you can continue to enjoy foods you love and feel good about the choices you’re making. SPLENDA® Sweetener Products can be used almost anywhere sugar is used, including cooking and baking. You can find recipes, tips, tricks and more at SweetSwaps.com. Swapping sugar out for SPLENDA® can also help with all the extra holiday eating we do from Halloween through New Year's Day. To inspire and motivate smart choices, SPLENDA® Brand is dishing out SWEET SWAPS™—ways to swap out full sugar for SPLENDA® Sweetener Products. SPLENDA® Sweetener Products can help in your weight management efforts by reducing calories from full sugar. Swapping one cup of sugar with one cup of SPLENDA® No Calorie Sweetener, Granulated, can save more than 600 calories. By replacing three tablespoons of sugar per day with SPLENDA® No Calorie Sweetener, you can save almost 130 calories per day. Step 1: In a large pot, add the ginger, garlic, red chili powder/cayenne, salt, vinegar and SPLENDA®. 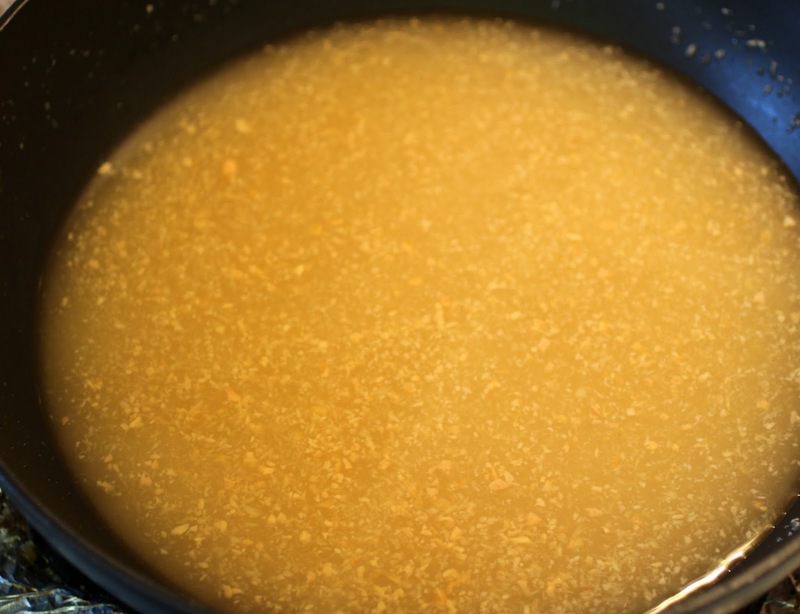 Bring to a simmer on low heat until everything melts into a liquid. This will take about 5 minutes. Step 2: Wash all jalapeno peppers and bell peppers. Then seed them and take the ribs out. 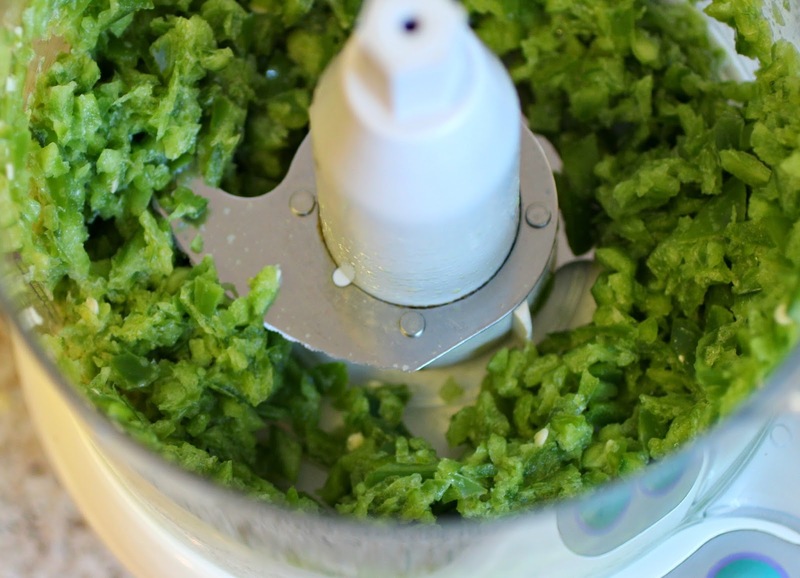 Place in a food processor and plus until they are finely chopped. 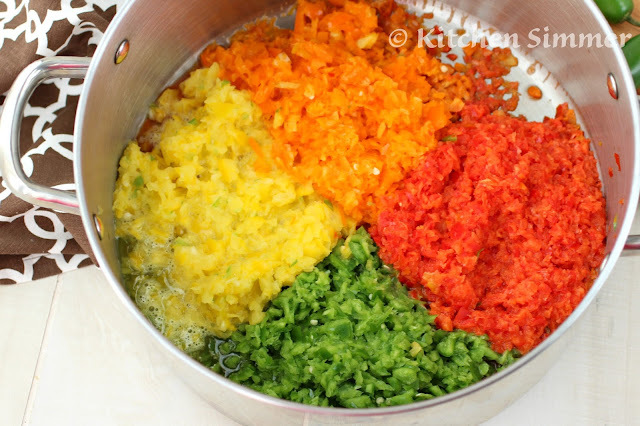 Place all chopped peppers into a large pot. 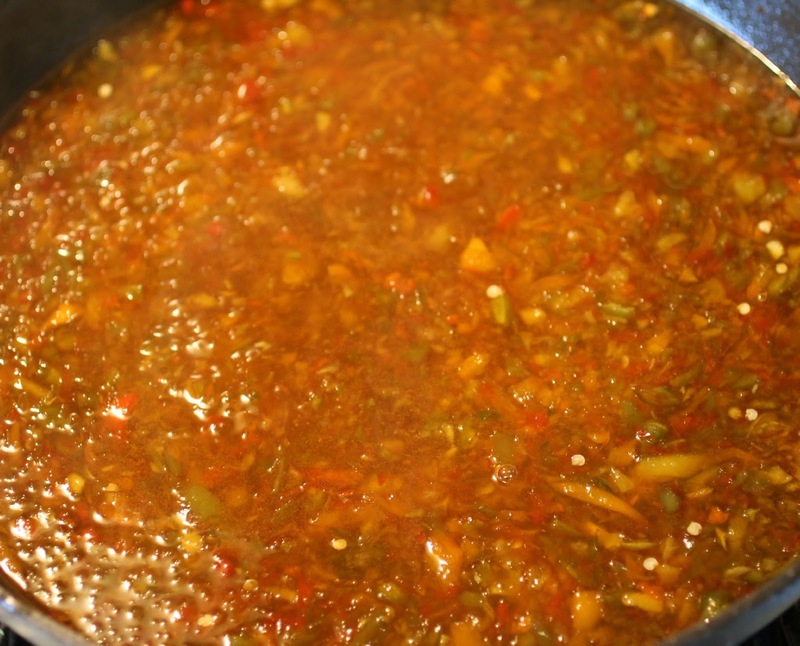 Step 3: Turn the heat up on the vinegar/SPLENDA® mixture to ensure it's well dissolved then strain into the pot with the peppers. This will remove all the pieces of ginger and garlic and give you a better consistency for the jam. 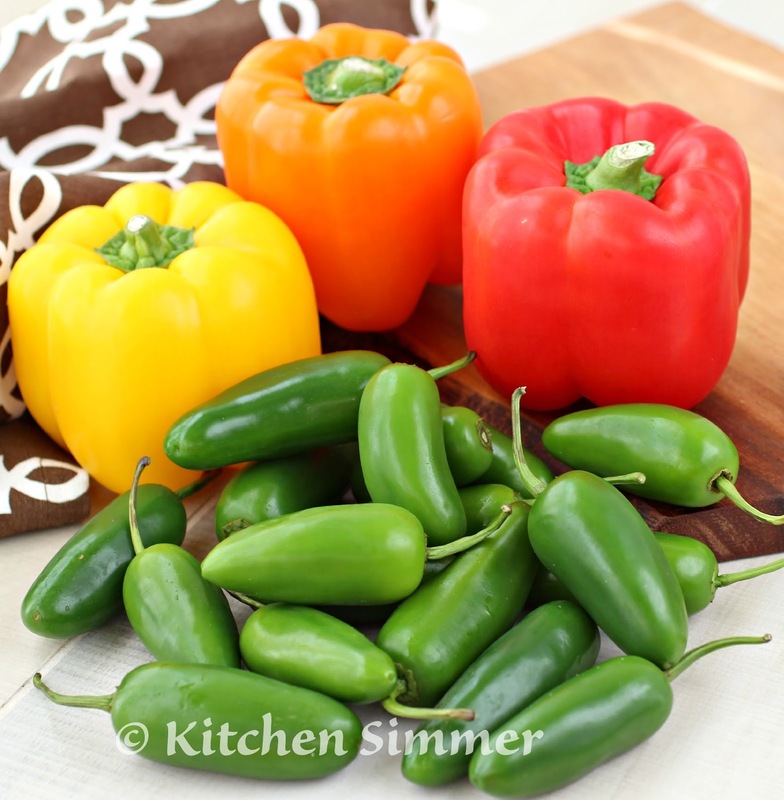 Stir the peppers and the vinegar/SPLENDA® and then increase the heat to a medium high heat. 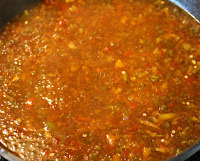 Simmer the pepper mixture at a rolling boil for 10-12 minutes. 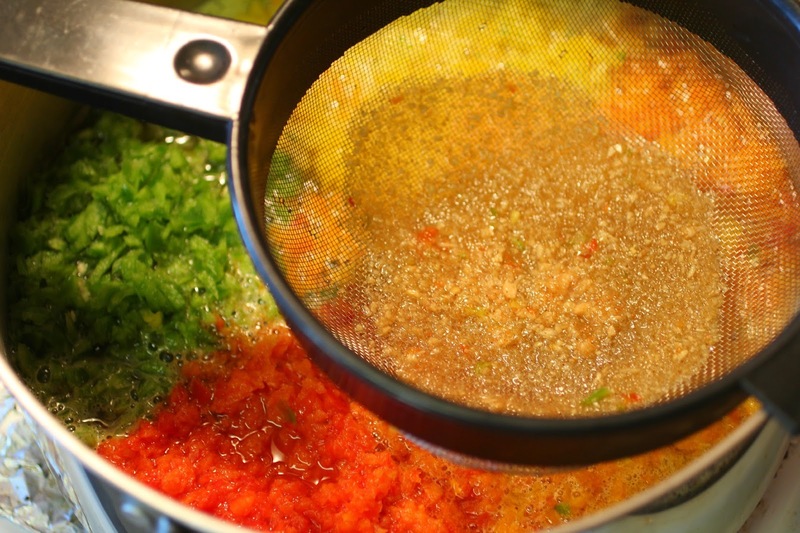 Tip: a rolling boil is defined as a boil that does not stop bubbling even when you stir. 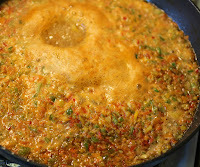 Remove any foam from the top of the pan with a metal spoon and discard. Then add the powdered pectin and stir well Simmer at a rolling boil for another 2-3 minutes. Turn stove off and immediately put jam into sterilized jars. Allow ingredients to cool off then put lids on the jars and place in fridge. Jam is good in fridge for 2-3 weeks. Makes about 6-7 cups of jam. What recipe would you like to swap out the sugar with SPLENDA®? The recipes are endless so enjoy the season with smarter choices thanks to SPLENDA®. Place ingredients in blender jar. Cover and blend until SPLENDA® Granulated Sweetener is a very fine powder. Use instead of powdered sugar for garnishing cakes and pastries. Optional: Food coloring. Add a few drops of food coloring, if desired. 1. Place Splenda Granulated Sweetener and cornstarch in blender jar. 2. Cover and blend until Splenda Granulated Sweetener is a very fine powder. 3. Pour into a small bowl. Add water and stir well. Such a terrific jam to have on hand to make a quick appetizer! And it would make a marvelous holiday gift, too! What a delicious pepper jam. I would love this over cream cheese and spread on crackers. Yum! 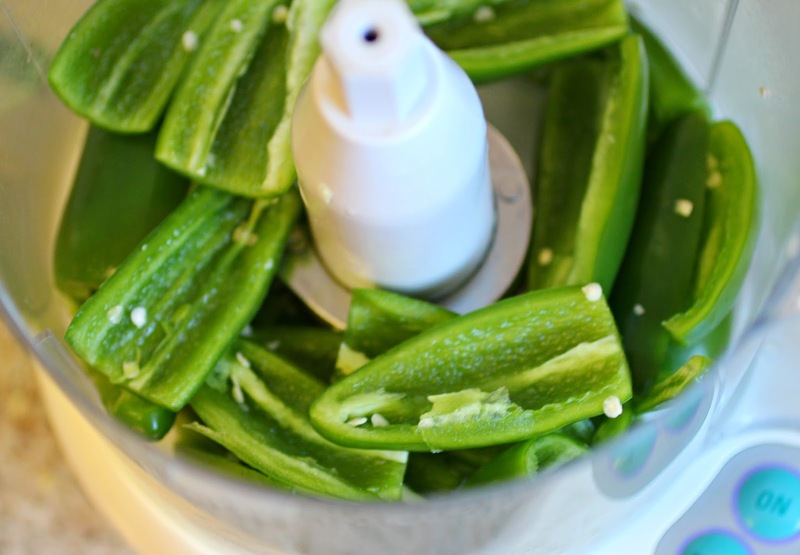 I've always wanted to make some pepper jam! This looks amazing! I love pepper jam - such a great swap here, too! Wow. 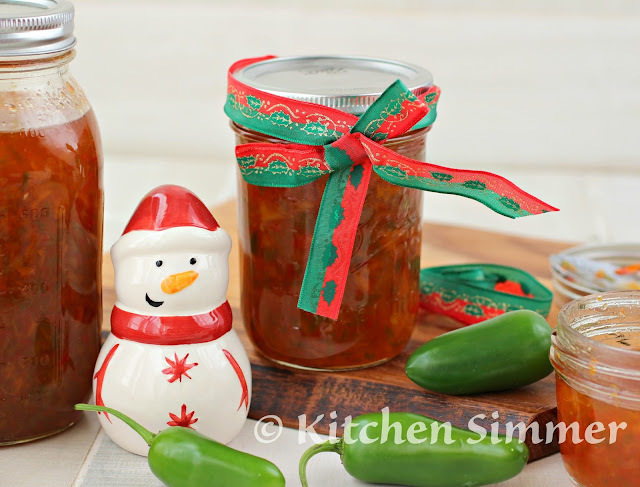 I've never heard of a jalapeno jam. Is this spicy? Such a cool recipe really. I love your step by step instructions and using Splenda is an interesting twist. I'm always looking for ways to reduce my sugar intake. Your stash of appetizers is amazing! I've used a similar jam before in a similar manner. :) Gorgeous photos! I got a similar jam for Christmas last year. Now I want to make my own - yum!